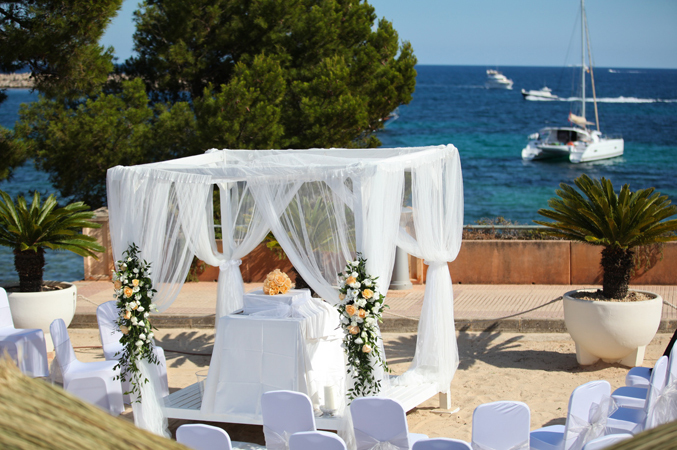 In Part One we met Scottish-born bride Terri and her American fiancé Michael Kaye who, with the help of mother-of-the-bride Karen, were planning their Jewish wedding in the port town of Andraxt, in Mallorca. The day arrived and the coordination began. From 8am on the morning of the wedding, all hands were on deck to create the venue into an elegant and sophisticated setting…whilst retaining its typically rustic and Spanish charm. 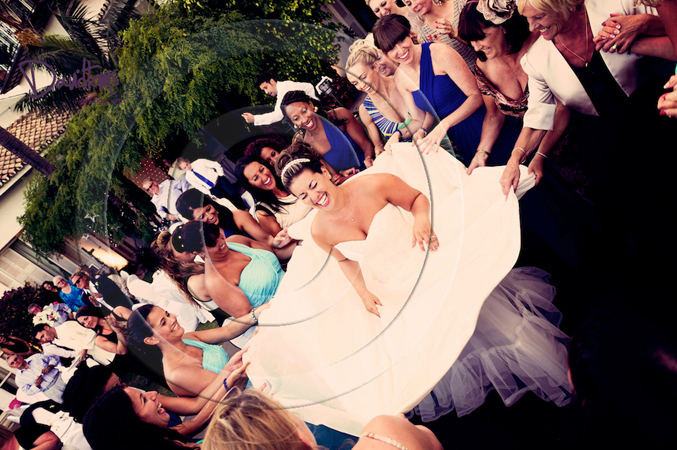 At 4pm, when Terri arrived to take part in her b’deckin (a Jewish ceremony where the bride is unveiled by her groom in the presence of their families) Terri cried, “Oh my goodness”. 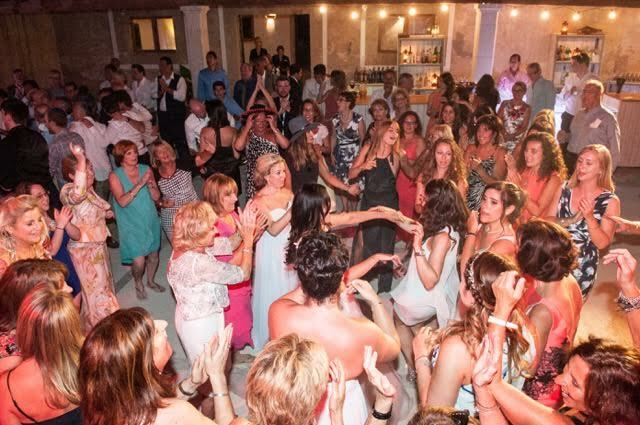 At first Lisa thought something was wrong, but Terri continued by exclaiming, “Oh my goodness, this is absolutely amazing – it really exceeds all my expectations.” And she was right – the venue had been transformed into the most amazing party and wedding venue. It was breathtaking. 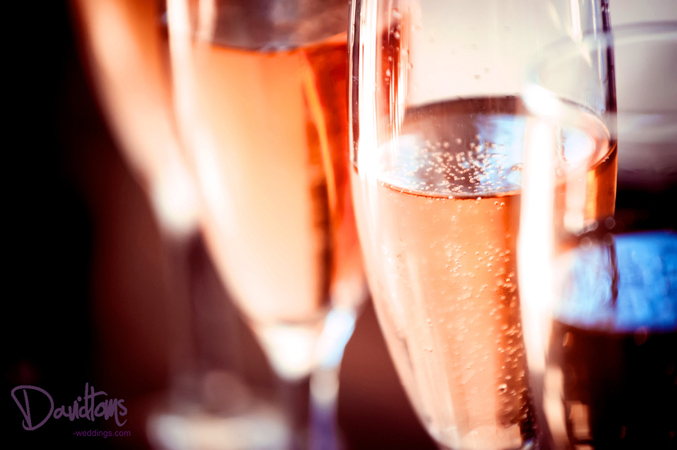 The couple’s Jewish ceremony, led by a Rabbi who delivered a fun filled and welcoming service, was followed by an hour and a half of drinks and canapés outdoors with an open bar throughout the whole event. Dinner included a starter of sharing platters and live cooking demonstrations at the outdoor kitchen that had been set up. There were even more sweet treats in store for the guests after dinner as the couple had arranged for a Sweet Shop full of homemade delights to be set up beside the dance floor, as well as an ice cream bicycle and plenty of cheese cake to soak up the Spanish cocktails. As the sun set, guests stepped out to the courtyard for dancing in the moonlight to a live eight-piece band that had been especially flown over from the UK. This was followed by more contemporary tracks performed by singers and musicians accompanied by a DJ. The Finca rocked, the drinks flowed and wedding favours of fancy dress masks, hats, glasses and flip flops were passed around – ensuring that everyone had the time of their life. 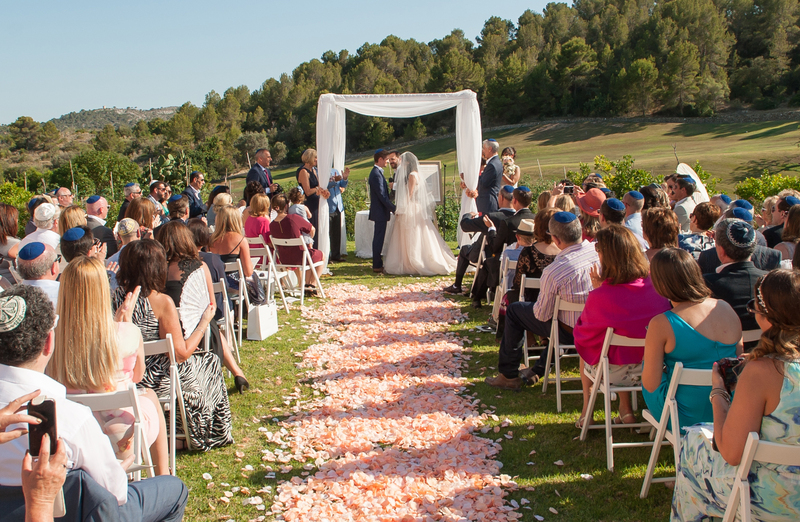 Our spectacular Jewish wedding in Mallorca ended on a complete high, when buses arrived to take guests home and the crowds chanted “one more song”! What a fantastic day for such a fantastic couple, who not only brought their friends and family together from all around the world to celebrate their special day the Spanish way…but they will always leave a part of their heart behind on the magical island of Mallorca.